India is growing and the energy sector is booming: a capacity of around 300 gigawatts is currently available – and by 2030 that figure is due to rise to 900 gigawatts. To meet this enormous challenge, the Indian energy industry is relying on the support of STEAG Energy Services. At the present time India has a population of 1.27 billion. And soon this, the seventh largest country in the world in terms of area, will have more people than China, which has to date been the most populous country with 1.34 billion people. To satisfy the immense hunger for energy the Indian government is opting for both renewable energy sources and the modernization of conventional power plants – and for the support and know-how of STEAG Energy Services (SES) and STEAG Energy Services (India) Pvt. Ltd. (SESI). For example in the state of Telangana, which is India's twelfth largest state with an area of 114,840 square kilometers, making it almost three and a half times as large as North Rhine-Westphalia. In Telangana more than 35 million people live in a hot, dry climate. Part of their electricity comes from Singareni power plant, which is about 250 kilometers from the state capital of Hyderabad. Anand Bansal, STEAG Energy Services (India) Pvt. Ltd.
"The Indian government is pursuing a clear course in expanding the energy supply, paying special attention to renewables," explains Heiko Schierenbeck, Director of International Business Development at SES since 1998, in other words from the very beginning of the company’s activities in India. "STEAG is now also well known in India for its expertise and experience in modern electricity generation, and that is why it is regularly approached to participate in invitations to tender. In the case of Singareni we were able to win through and concluded an operation and maintenance contract with SCCLL." Operation & Maintenance Services (O&M) is the international term for what SESI employees do here every day: this includes the operation, maintenance and repair of the power plant, as well as the coaling and ash disposal. "We're responsible for the entire operation," according to Dr. Andreas Hospital, Head of the O&M Department at SES, "both in the technical sense and in terms of business management." SESI currently services eight sites with a generating capacity of around 3.9 GW in India. This accounts for more than half the global O&M capacity of SES, which amounts to around 6.5 GW. Since 2001, this Indian company with its roughly 1,000 employees has been the most personnel-intensive international subsidiary of SES and of the parent company STEAG GmbH. In Vizag, a port on the east coast of India, SES even holds a minority stake in the Vishakhapatnam power plant and is also responsible through a SESI subsidiary for the operation and maintenance of the two 520 MW coal-fired units. "From the planning, modernization through to the operation and maintenance and successful deployment of our optimization systems, we have completed numerous projects since then," explains SESI Managing Director Anand Bansal, who co-ordinates not only the company's own personnel but also a further 1,000 colleagues from third-party companies from his base in Noida near the capital New Delhi. "We are now the market leader in the field of "Renovation & Modernization". SESI in India can also contribute its experience in the expansion of renewable energies. Since Prime Minister Narendra Modi signed the International Climate Change Agreement the Central Electricity Authority (CEA) has been planning to make a dramatic increase in the portion of power generation accounted for by renewables and nuclear energy and to reduce the share of coal-generated electricity accordingly. The share of solar energy alone is to be increased by the year 2022 from the current 20,000 MW to 100,000 MW. In total, the CEA then plans to feed as much as 175,000 MW in energy from renewables into the grid. At the present time the share of renewables is about 15 percent of the total capacity. "This ambitious plan entails technical challenges to which we in Germany have already discovered sound responses," says Matthias Schneider, Deputy Head of SES's Environmental Engineering Department. "Here we can contribute our experience in integrating renewable energy sources in the grid. Storage capacities have to be expanded, and coal-fired power plants designed exclusively for base-load operation must be made more flexible so that they can also react to strongly fluctuating energy demand in the grid. This is the only way to ensure that the capacity of volatile wind power and photovoltaic installations can be expanded." To do this, SESI's Managing Director Anand Bansal and his engineers deploy the PADO and EBSILON systems developed by STEAG. "We have already successfully installed PADO (Plant Analysis, Diagnosis and Optimization) in 100 power plant units. 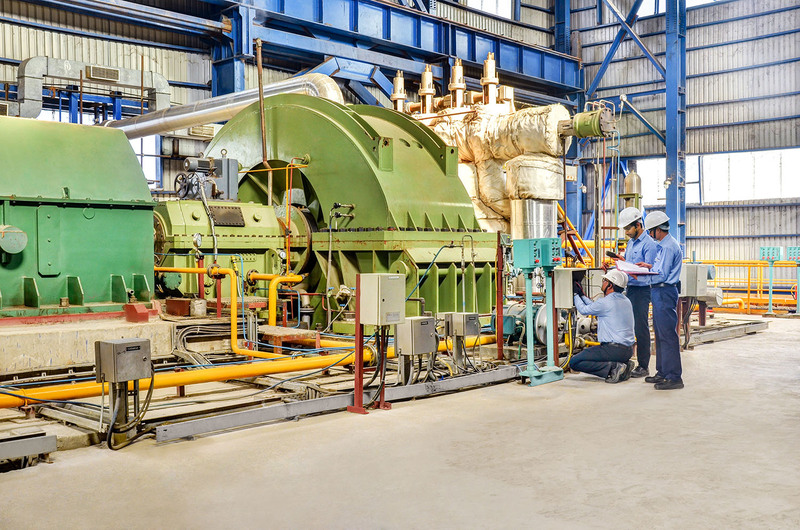 With EBSILON we can simulate and optimize the process sequences of power plants. It's like having a mini power plant on your desk," according to Anand Bansal. "We run through processes and check how the efficiency and partial load behavior turn out." Since 2009, the EBSILON system for simulating thermodynamic cycle processes has been a major component of a program to optimize coal-fired power plants which was set up jointly by the Indian Energy Ministry, the German Ministry of Economic Affairs and the German Ministry of the Environment. SES employees have acted as consultants and efficiency service providers for this Indo-German Energy Program (IGEN). Around 70 EBSILON applications have since been launched at Indian energy suppliers, and more than 100 Indian engineers have been trained by SES colleagues. The results speak for themselves: to date around 1.6 million metric tons of CO2 annually have been saved, which is the equivalent of about 1.2 million metric tons of Indian coal. "That is as much as a complete Indian coal train with more than 50 wagons every day," Anand Bansal calculates. "That's surely the best demonstration of how important our contribution is."